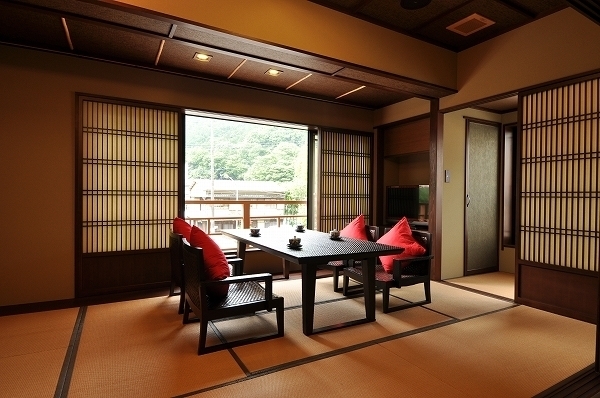 ■ Amenity ■ yukata, a bath towel towel, the toothbrush set is comprised in each guest room. A new guest room was born. 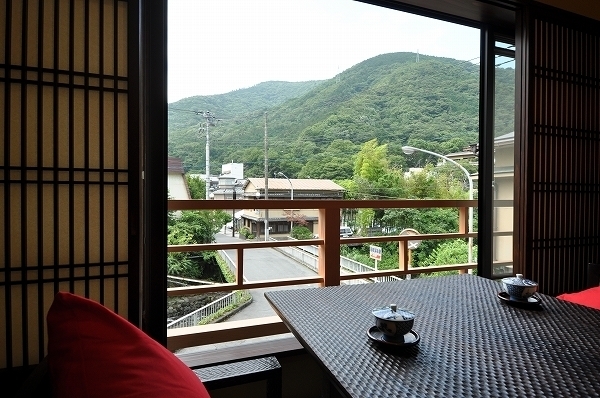 It is the time-limited plan that memorializes it, and can stay at the special price in a new guest room with either open-air of popular【sitasiminoma- Katsuragi, yamabuki 】・【yutorinoma- Horai 】・【soyoginoma-hibari, zuiunn 】・【kuturoginoma - souunn, Hojo] in this museum. From the new guest room (seven rooms) of four types mentioned above with open-air bath of the room cannot appoint it, but all provide a guest room of this museum popularity with a special price, and is a right early thing victory plan, and a foot, please talk about all Washlet restrooms with a bad visitor or the visitor old beforehand because there is the stairs room which use a lot by perfection ♪※ room; ^^■ Meal ■ dinner, breakfast is a room together and can have it. The meal prepares the novel Japanese food which the board head thought about (in the case of a great number of people, I may prepare for an exclusive dining hall)■ In bath ■ large communal bath, an outdoor bath is added to a large communal bath for women until check-in - 10:00 p.m. that is a man and woman permutation at 10:00 p.m., and an outdoor bath is added to a large communal bath for men until 9:30 on the next morning from 10:00 p.m.■ An outdoor bath (30 minutes) can be reserved at the time of privilege ■① check-in. ② The new sum modern chartered bath is available free, too. 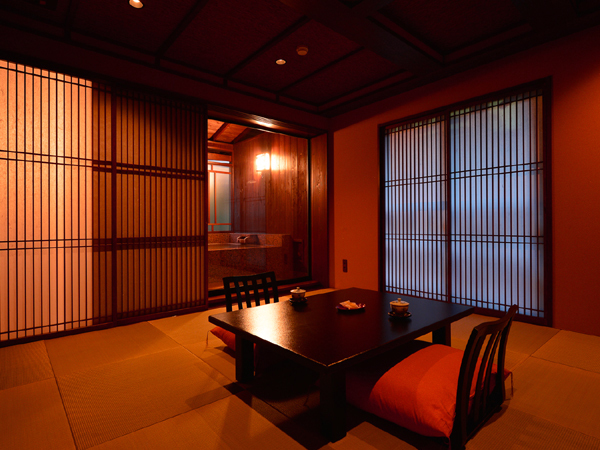 (unlimited time)■ Amenity ■ yukata, a bath towel towel, the toothbrush set dryer is comprised in each guest room. 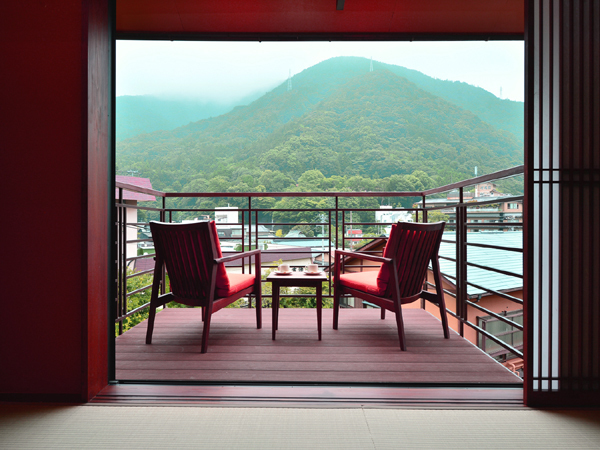 Please use it as a base for Hakone trip at 5 minutes on foot from Yumoto station and arrival.■ Dinner ■ Dinner will be served in your room. 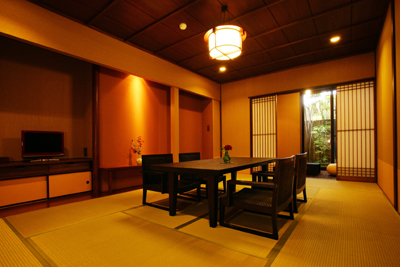 (In the case of the number of adults, there is a thing to offer a special dining room.) 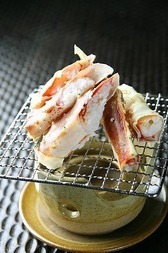 The monthly changing menu prepares innovative Japanese cuisine thought by the board length. 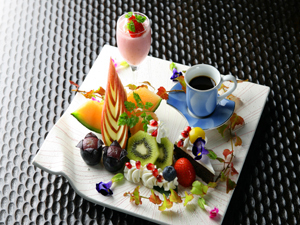 ■ Breakfast Breakfast can be served in your room. 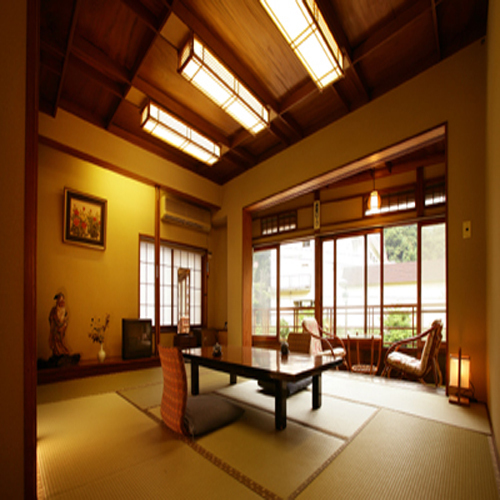 (In the case of the number of adults, there is a thing I will arrange a private dining room)■ Room ■ The room becomes a new room with a private outdoor bath in the room. 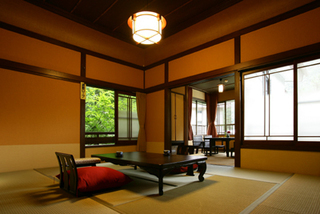 The main room and the bedroom are independent. 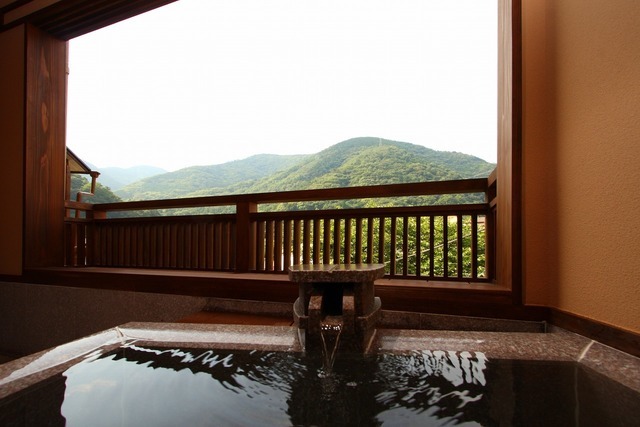 Of course, the toilet has a washlette toilet and it becomes a room where you can see the Hakone mountains from the outdoor bath. 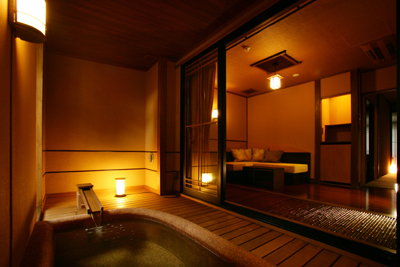 (You can not specify rooms)■ Bathing ■ The open-air bath attached to the new room can be bathed at any time of 24 hours. 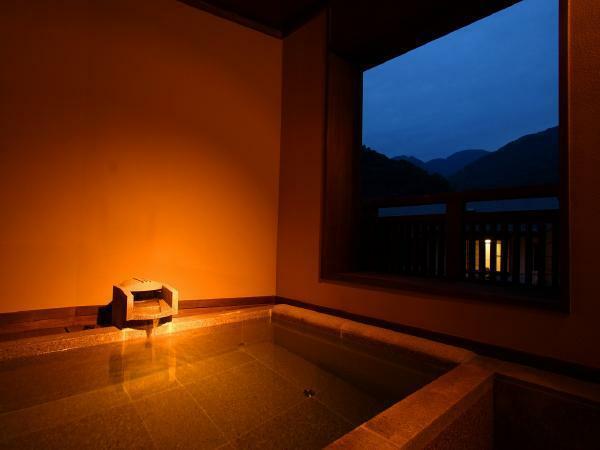 Bathrooms are exchanged for men and women's public baths at 10 p.m. Check-in ~ Until 10 o'clock, an open-air bath is attached to the female public bath, and the man is a rock bath public bath. 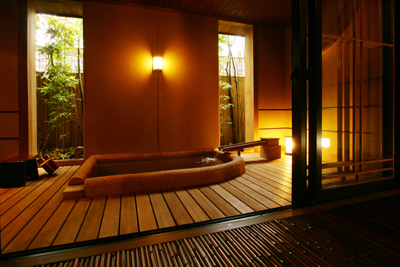 An open-air bath is installed in the male public bath from 10 o'clock in the evening until 9:30 the next morning.■ Bonus Features ■ ① Reservation of private outdoor bath (30 minutes) can be reserved at check-in. 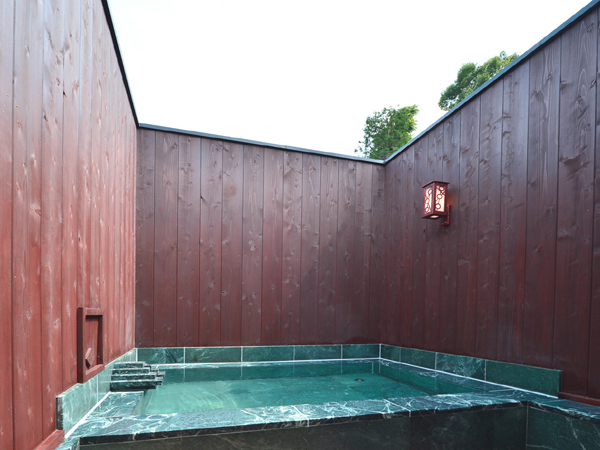 ② New Japanese modern rental bath can be used for free. 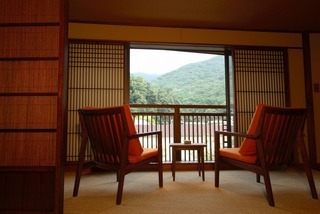 (Time unlimited) ■ Amenity ■ Yukata, bath towel, towel, toothbrush set, hairdryer etc are prepared in each guest room. 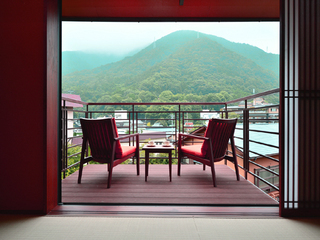 Please use it near as a base of the Hakone trip from Yumoto Station with a 5-minute walk. ■ Please have meal ■ dinner, breakfast in an exclusive dining room (the main room) together. 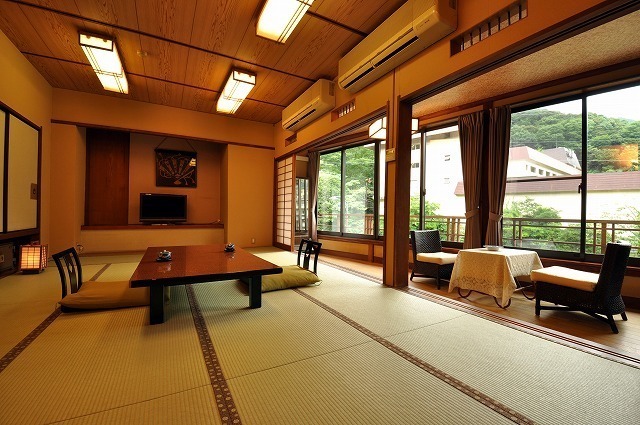 (in the case of a great number of people, I may prepare for an exclusive dining hall)■ It is 83 square meters of extensive guest rooms which an exclusive outdoor bath founded in room ■ renewal guest room provides. 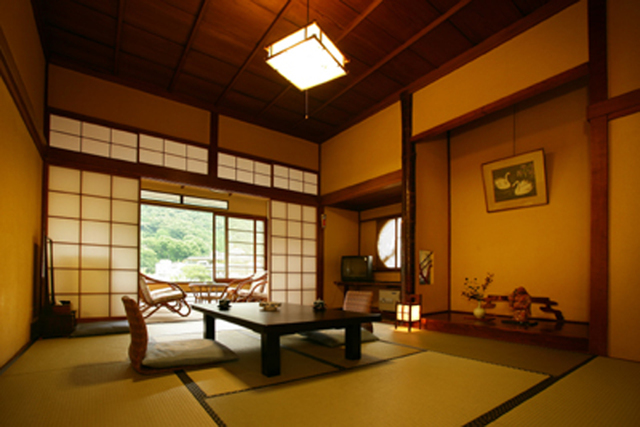 There are no bedroom, living room, main room and agony such as a room becoming independent each, and putting futon in order for preparations for breakfast. I comprise TV in each dining room living room, bedroom.■ In bath ■ large communal bath, a man and woman large communal bath becomes the permutation at 10:00 p.m. Until check-in - 10:00 p.m., an outdoor bath is added to a large communal bath for women, and, as for the man, an outdoor bath is added to a large communal bath for men until 9:30 on the next morning from 10:00 p.m. including the bath set in the cave. A woman baths set in the cave■ At the time of privilege ■① check-in of the outdoor bath (30 minutes) can make a reservation. ② The founded sum modern chartered bath is available free. 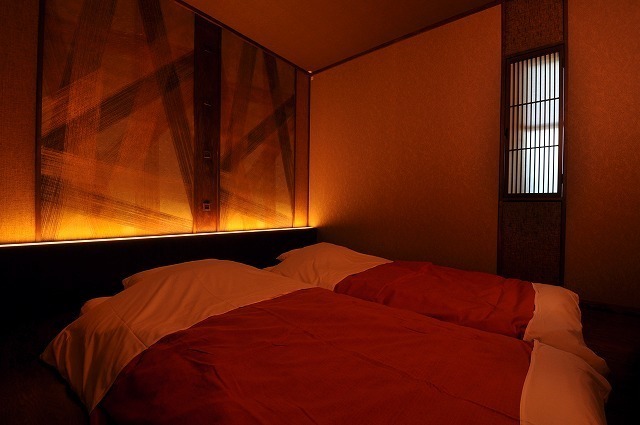 (unlimited time■ Amenity ■ yukata, a bath towel towel, the toothbrush set dryer is comprised in the guest room. Please use it near as a base of the Hakone trip from Yumoto Station with a 5-minute walk.■ Please have dinner ■ dinner in a room. The menu changing monthly (may prepare for an exclusive dining hall in the case of a great number of people) prepares the novel Japanese food which the board head thought about.■ You can have breakfast ■ breakfast in a room. 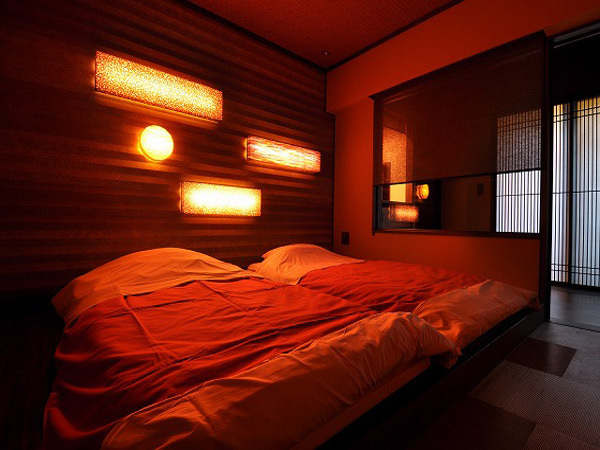 (in the case of a great number of people, I may prepare for an exclusive dining hall)■ It becomes the new guest room provided with an exclusive outdoor bath in room ■ room. The main room and a bedroom become independent each and are provided with Washlet restroom.■ The outdoor bath which a bath ■ new guest room has can take a bath anytime for 24 hours. In the large communal bath, a man and woman large communal bath becomes the permutation at 10:00 p.m. Until check-in - 10:00 p.m., an outdoor bath is added to a large communal bath for women, and, as for the man, an outdoor bath is added to a large communal bath for men until 9:30 on the next morning from 10:00 p.m. including the bath set in the cave. A woman baths set in the cave■ At the time of privilege ■① check-in of the outdoor bath (30 minutes) can make a reservation. 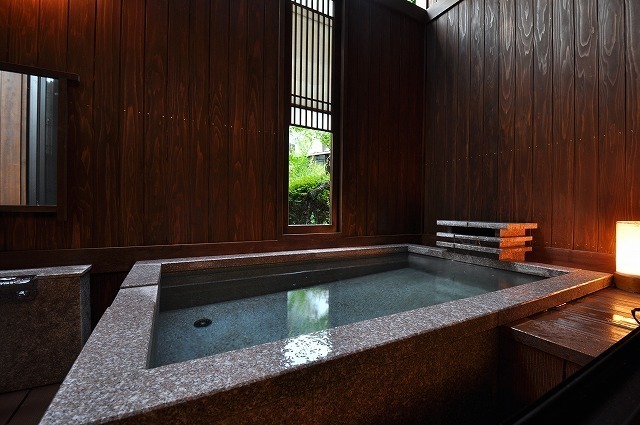 ② The sum modern chartered bath is available free, too. 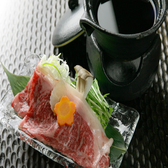 ■ amenity ■ yukata, a bath towel towel, the toothbrush set dryer is comprised in each guest room (unlimited time). 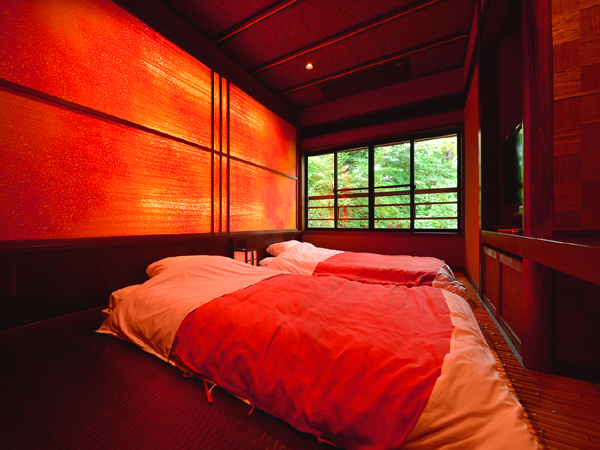 Two rooms of "yamabuki "・" Katsuragi" become the new guest room with open-air bath and are open. Please use it near as a base of the Hakone trip from Yumoto Station with a 5-minute walk.■ Please have dinner ■ dinner in a room. 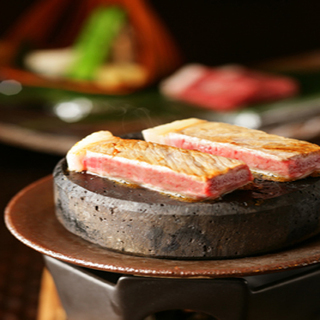 The menu changing monthly prepares for hors d'oeuvres, last novel Japanese food which there be it and makes it, and the board head including the food boiled and seasoned thought about.■ You can have breakfast ■ breakfast in a room.■ It becomes the new guest room provided with an exclusive outdoor bath in room ■ room. The restroom is provided with a wash restroom.■ In bath ■ large communal bath, a man and woman large communal bath becomes the permutation at 10:00 p.m. Until check-in - 10:00 p.m., an outdoor bath is added to a large communal bath for women, and, as for the man, an outdoor bath is added to a large communal bath for men until 9:30 on the next morning from 10:00 p.m. including the bath set in the cave. A woman baths set in the cave■ At the time of privilege ■① check-in of the chartered open-air bath (30 minutes) can make a reservation. ② The chartered bath of the sum modishness is available free, too. 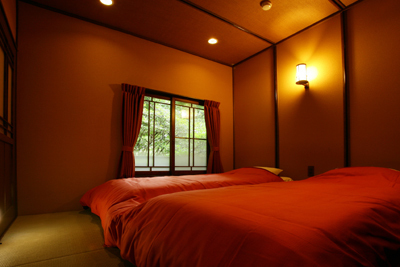 (unlimited time)■ Amenity ■ yukata, a bath towel towel, the toothbrush set dryer is comprised in each guest room. Please use it near as a base of the Hakone trip from Yumoto Station with a 5-minute walk.■ Please have dinner ■ dinner in an exclusive dining room (the main room). The menu changing monthly (may prepare for an exclusive dining hall in the case of a great number of people) prepares the novel Japanese food which the board head thought about.■ Please have breakfast ■ breakfast in an exclusive dining room (the main room). 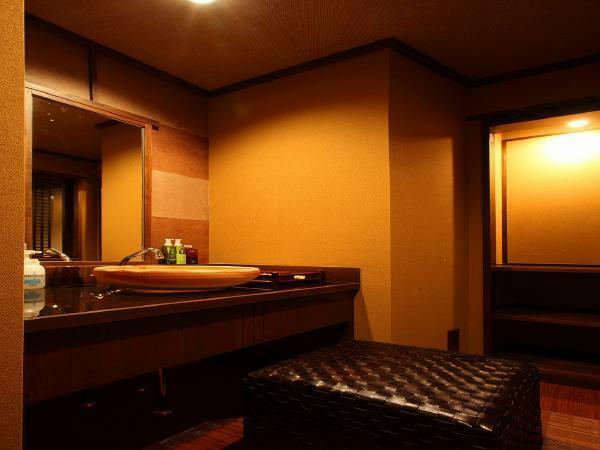 (in the case of a great number of people, I may prepare for an exclusive dining hall)■ It becomes room ■ renewal guest room and is 53 square meters of extensive guest rooms which a founded exclusive guest room bath provides. 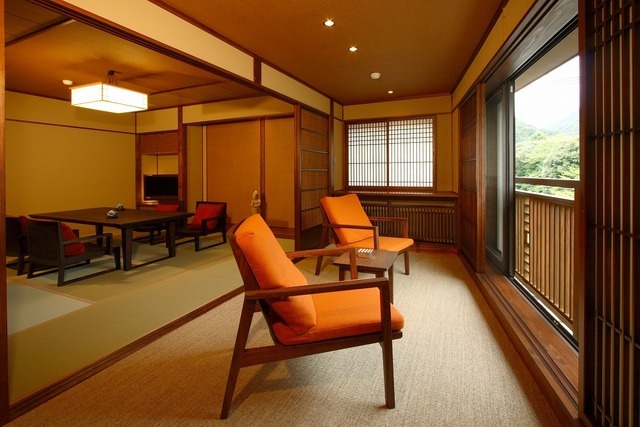 Because a room becomes independent each with a bedroom, a living room, the main room, there is no agony such as putting futon in order for preparations of the breakfast. I provide TV for the bedroom.■ In bath ■ large communal bath, a man and woman large communal bath becomes the permutation at 10:00 p.m. Until check-in - 10:00 p.m., an outdoor bath is added to a large communal bath for women, and, as for the man, an outdoor bath is added to a large communal bath for men until 9:30 on the next morning from 10:00 p.m. including the bath set in the cave. A woman baths set in the cave■ At the time of privilege ■① check-in of the outdoor bath (30 minutes) can make a reservation. ② The founded sum modern chartered bath is available free. 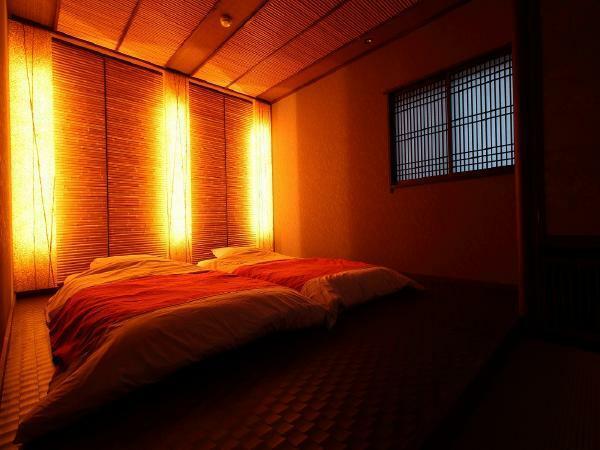 (unlimited time)■ Amenity ■ yukata, a bath towel towel, the toothbrush set dryer is comprised in the guest room. Please use it near as a base of the Hakone trip from Yumoto Station with a 5-minute walk.■ Please have dinner ■ dinner in a room. 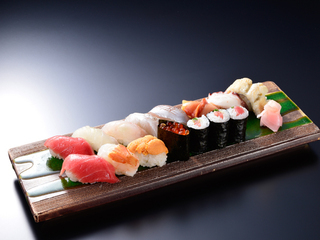 The menu changing monthly prepares for hors d'oeuvres, last novel Japanese food which there be it and makes it, and the board head including the food boiled and seasoned thought about■ You can have breakfast ■ breakfast in a room.■ Room ■ room becomes the new guest room. The restroom is provided with Washlet restroom. ■ In bath ■ large communal bath, a man and woman large communal bath becomes the permutation at 10:00 p.m. Until check-in - 10:00 p.m., an outdoor bath is added to a large communal bath for women, and, as for the man, an outdoor bath is added to a large communal bath for men until 9:30 on the next morning from 10:00 p.m. including the bath set in the cave. A woman baths set in the cave■ At the time of privilege ■① check-in of the chartered open-air bath (30 minutes) can make a reservation. 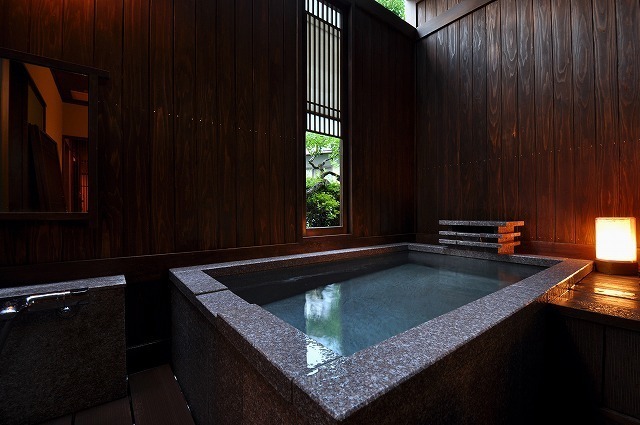 ② The chartered bath of the sum modishness is available free, too. 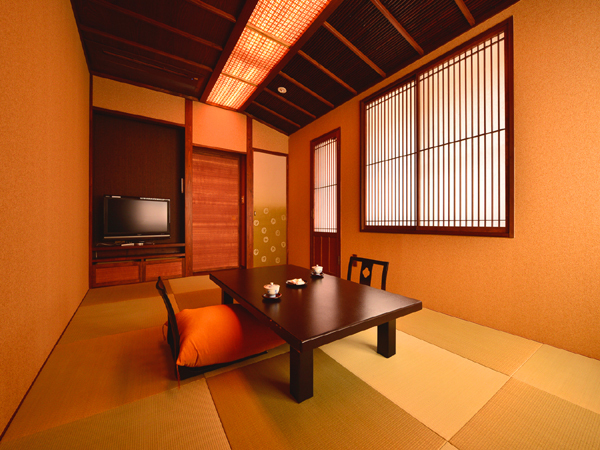 (unlimited time)■ Amenity ■ yukata, a bath towel towel, the toothbrush set is comprised in each guest room. Please use it near as a base of the Hakone trip from Yumoto Station with a 5-minute walk.■ Please have dinner ■ dinner in a room. The menu changing monthly (may prepare for an exclusive dining hall in the case of a great number of people) prepares the novel Japanese food which the board head thought about.■ You can have breakfast ■ breakfast in a room. 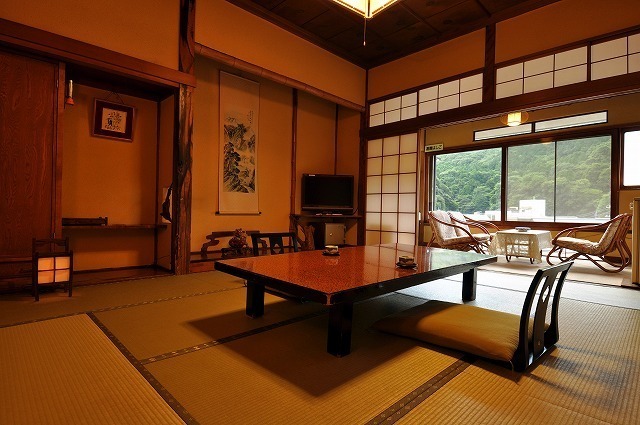 (in the case of a great number of people, I may prepare for an exclusive dining hall)■ It becomes the new guest room along room ■ Sukumogawa and hears the murmuring of Sukumogawa and can look at the mountains of Hakone Mountains from a window. I prepare the room of the different type of the flavor. Careful … Approve it in the one which you cannot appoint of the room beforehand.■ In bath ■ large communal bath, a man and woman large communal bath becomes the permutation at 10:00 p.m. Until check-in - 10:00 p.m., an outdoor bath is added to a large communal bath for women, and, as for the man, an outdoor bath is added to a large communal bath for men until 9:30 on the next morning from 10:00 p.m. including the bath set in the cave. A woman baths set in the cave■ At the time of privilege ■① check-in of the outdoor bath (30 minutes) can make a reservation. 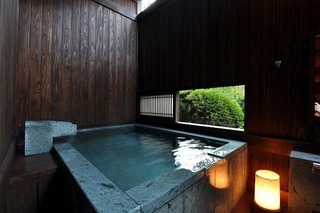 ② The founded sum modern chartered bath is available free. 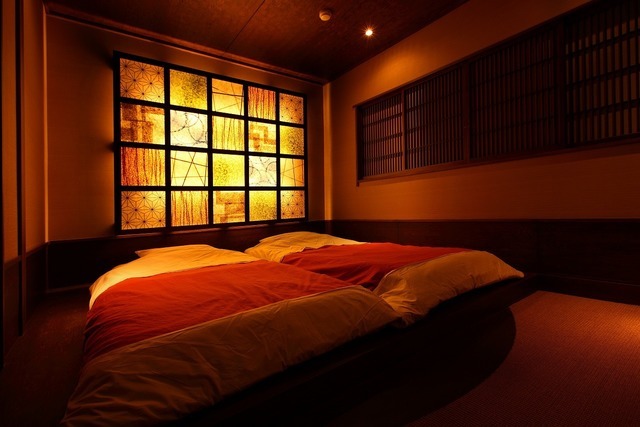 (unlimited time)■ Amenity ■ yukata, a bath towel towel, the toothbrush set dryer is comprised in each guest room. 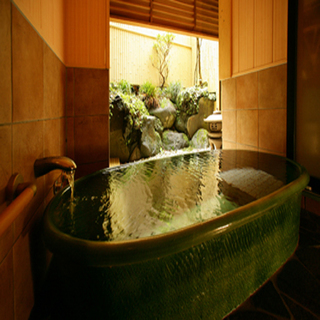 ■ At the time of privilege ■① check-in of the outdoor bath (30 minutes) can make a reservation. ② The founded sum modern chartered bath is available free. 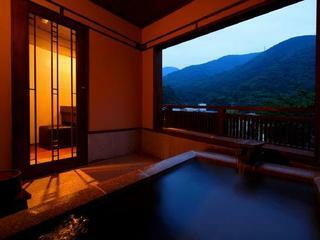 (unlimited time)■ Amenity ■ yukata, a bath towel towel, the toothbrush set dryer is comprised in each guest room. Please use it near as a base of the Hakone trip from Yumoto Station with a 5-minute walk.■ Please have dinner ■ dinner in a room. The menu changing monthly (may prepare for an exclusive dining hall in the case of a great number of people) prepares the novel Japanese food which the board head thought about.■ You can have breakfast ■ breakfast in a room. (in the case of a great number of people, I may prepare for an exclusive dining hall)■ It becomes room ■ renewed sum modern guest room, and the restroom becomes the Washlet restroom.■ In bath ■ large communal bath, a man and woman large communal bath becomes the permutation at 10:00 p.m. Until check-in - 10:00 p.m., an outdoor bath is added to a large communal bath for women, and, as for the man, an outdoor bath is added to a large communal bath for men until 9:30 on the next morning from 10:00 p.m. including the bath set in the cave. A woman baths set in the cave■ At the time of privilege ■① check-in of the outdoor bath (30 minutes) can make a reservation. ② The founded sum modern chartered bath is available free. 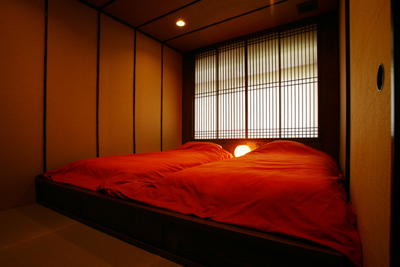 (unlimited time)■ Amenity ■ yukata, a bath towel towel, the toothbrush set dryer is comprised in the guest room. Please use it near as a base of the Hakone trip from Yumoto Station with a 5-minute walk.■ Please have dinner ■ dinner in a room. The menu changing monthly (may prepare for an exclusive dining hall in the case of a great number of people) prepares the novel Japanese food which the board head thought about. 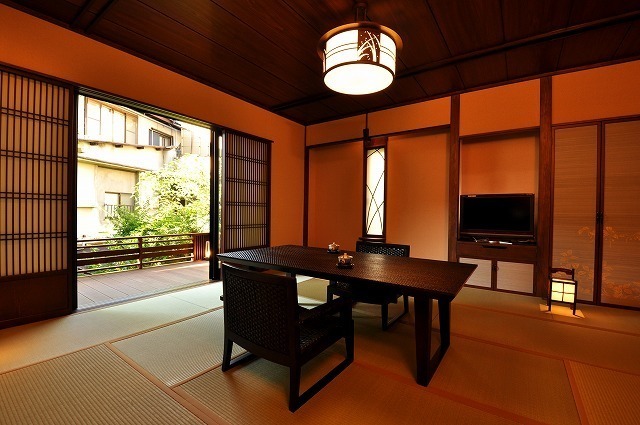 ■ You can have breakfast ■ breakfast in a room. 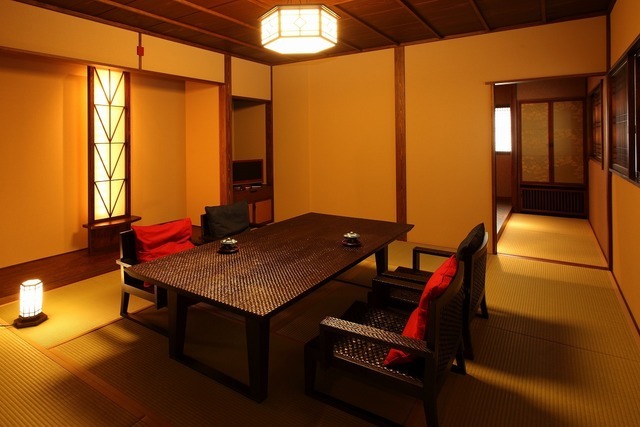 (in the case of a great number of people, I may prepare for an exclusive dining hall)■ Room ■ room becomes the Japanese-style room in all seven rooms different in flavor. The restroom of the room becomes the Washlet restroom in all rooms (the room cannot appoint it); is careful … There is not this plan in the room redecorated this time.■ In bath ■ large communal bath, a man and woman large communal bath becomes the permutation at 10:00 p.m. Until check-in - 10:00 p.m., an outdoor bath is added to a large communal bath for women, and, as for the man, an outdoor bath is added to a large communal bath for men until 9:30 on the next morning from 10:00 p.m. including the bath set in the cave. A woman baths set in the cave■ At the time of privilege ■① check-in of the outdoor bath (30 minutes) can make a reservation. 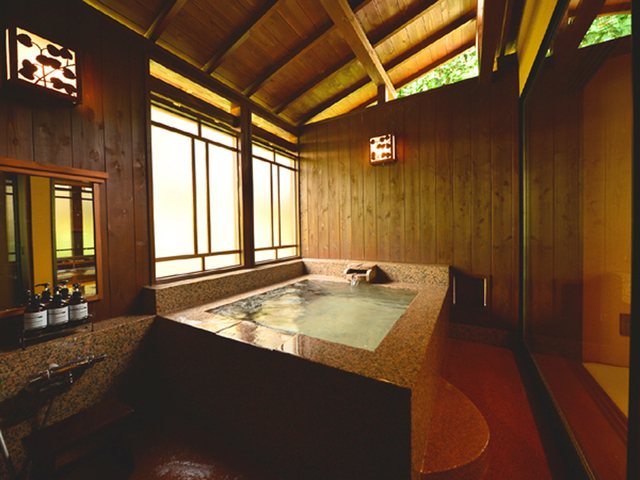 ② The sum modern chartered bath is available free, too. 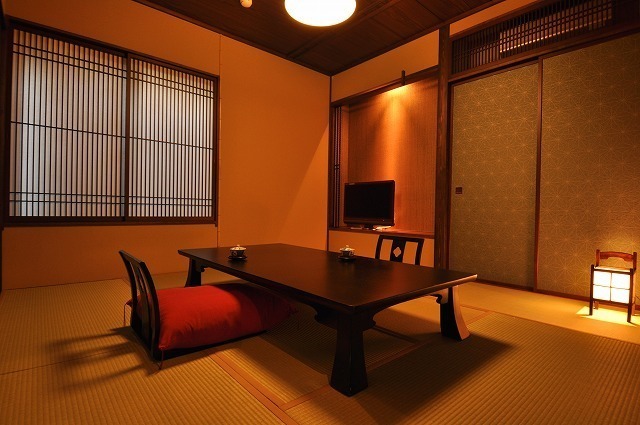 (unlimited time)■ Amenity ■ yukata, a bath towel towel, the toothbrush set is comprised in each guest room. Please use it near as a base of the Hakone trip from Yumoto Station with a 5-minute walk.■ Please have dinner ■ dinner in a room. The menu changing monthly (may prepare for an exclusive dining hall in the case of a great number of people) prepares the novel Japanese food which the board head thought about.■ You can have breakfast ■ breakfast in a room. 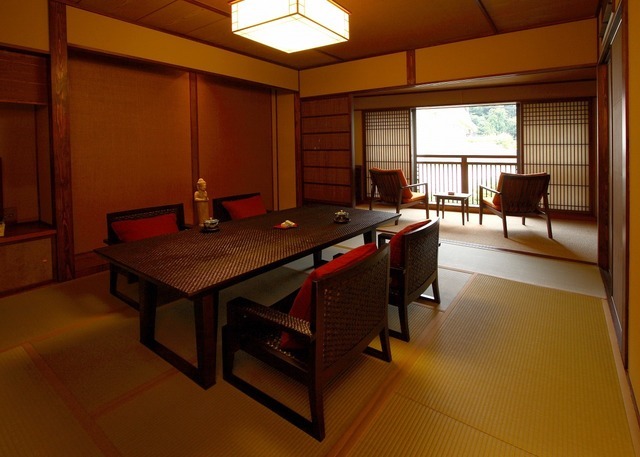 (in the case of a great number of people, I may prepare for an exclusive dining hall)■ Room ■ room becomes the Japanese-style room different in flavor. The restroom of the room becomes the Washlet restroom in all rooms (the room I cannot appoint it). Careful … I become the guide to the room type that had you choose him at the time of a reservation.■ In bath ■ large communal bath, a man and woman large communal bath becomes the permutation at 10:00 p.m. Until check-in - 10:00 p.m., an outdoor bath is added to a large communal bath for women, and, as for the man, an outdoor bath is added to a large communal bath for men until 9:30 on the next morning from 10:00 p.m. including the bath set in the cave. A woman baths set in the cave■ At the time of privilege ■① check-in of the outdoor bath (30 minutes) can make a reservation. ② The founded sum modern chartered bath is available free. Please choose him at the time of one check-in than ogre husk firing, the domestic production Japanese beef steak of dance firing, the prawns (lobster) of the ③ abalone (unlimited time).■ Amenity ■ yukata, a bath towel towel, the toothbrush set is comprised in each guest room. Please use it near as a base of the Hakone trip from Yumoto Station with a 5-minute walk.■ Please have dinner ■ dinner in a room. The menu changing monthly (may prepare for an exclusive dining hall in the case of a great number of people) prepares the novel Japanese food which the board head thought about.■ You can have breakfast ■ breakfast in a room. 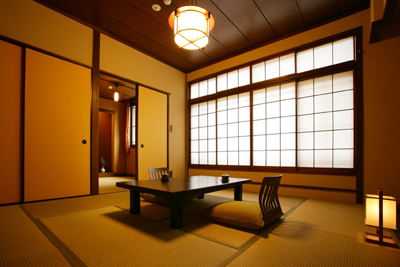 (in the case of a great number of people, I may prepare for an exclusive dining hall)■ Room ■ room becomes the Japanese-style room different in flavor. The restroom of the room becomes the Washlet restroom in all rooms (the room I cannot appoint it). Careful … I become the guide to the room type that had you choose him at the time of a reservation.■ In bath ■ large communal bath, a man and woman large communal bath becomes the permutation at 10:00 p.m. Until check-in - 10:00 p.m., an outdoor bath is added to a large communal bath for women, and, as for the man, an outdoor bath is added to a large communal bath for men until 9:30 on the next morning from 10:00 p.m. including the bath set in the cave. A woman baths set in the cave■ At the time of privilege ■① check-in of the outdoor bath (30 minutes) can make a reservation. 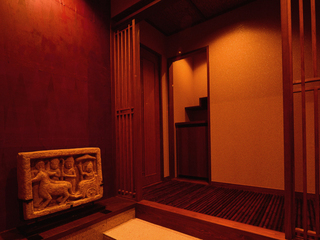 ② The sum modern chartered bath is available free, too. 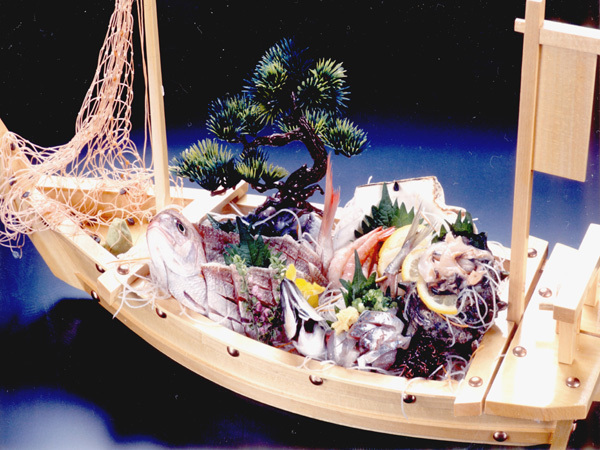 I included fresh fishery products managed with a fish preserve (fish preserve) of ③ this museum (unlimited time) in a ship.■ Amenity ■ yukata, a bath towel towel, the toothbrush set is comprised in each guest room. Please use it near as a base of the Hakone trip from Yumoto Station with a 5-minute walk.■ Please have dinner ■ dinner in a room. The menu changing monthly (may prepare for an exclusive dining hall in the case of a great number of people) prepares the novel Japanese food which the board head thought about.■ You can have breakfast ■ breakfast in a room. 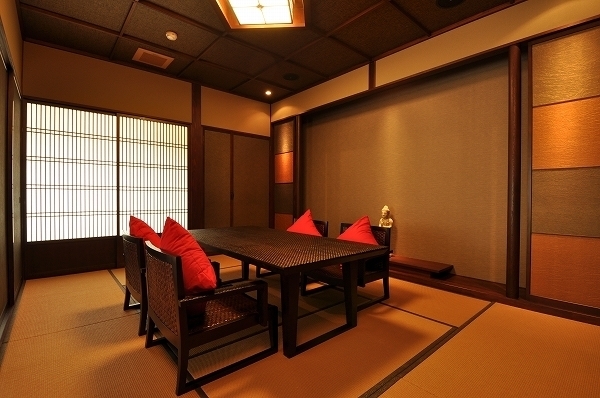 (in the case of a great number of people, I may prepare for an exclusive dining hall)■ Room ■ room becomes the Japanese-style room different in flavor. The restroom of the room becomes the Washlet restroom in all rooms (the room I cannot appoint it). Careful … I become the guide to the room type that had you choose him at the time of a reservation.■ In bath ■ large communal bath, a man and woman large communal bath becomes the permutation at 10:00 p.m. Until check-in - 10:00 p.m., an outdoor bath is added to a large communal bath for women, and, as for the man, an outdoor bath is added to a large communal bath for men until 9:30 on the next morning from 10:00 p.m. including the bath set in the cave. A woman baths set in the cave■ At the time of privilege ■① check-in of the outdoor bath (30 minutes) can make a reservation. ② The founded sum modern chartered bath is available free. It becomes the plan that can thoroughly enjoy 150 g of steaks of the domestic Japanese beef worth (unlimited time) this ③ plan a course dish eating enough.■ Amenity ■ yukata, a bath towel towel, the toothbrush set is comprised in each guest room. Please use it near as a base of the Hakone trip from Yumoto Station with a 5-minute walk.■ Please have dinner ■ dinner in a room. The menu changing monthly (may prepare for an exclusive dining hall in the case of a great number of people) prepares the novel Japanese food which the board head thought about.■ You can have breakfast ■ breakfast in a room. 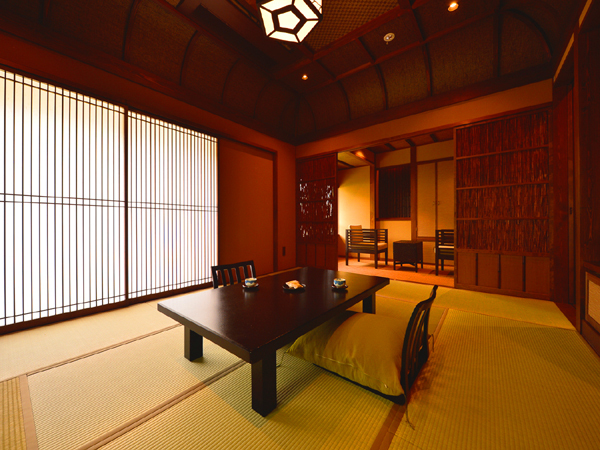 (in the case of a great number of people, I may prepare for an exclusive dining hall)■ Room ■ room becomes the Japanese-style room different in flavor. The restroom of the room becomes the Washlet restroom in all rooms (the room I cannot appoint it). Careful … I become the guide to the room type that had you choose him at the time of a reservation.■ In bath ■ large communal bath, a man and woman large communal bath becomes the permutation at 10:00 p.m. Until check-in - 10:00 p.m., an outdoor bath is added to a large communal bath for women, and, as for the man, an outdoor bath is added to a large communal bath for men until 9:30 on the next morning from 10:00 p.m. including the bath set in the cave. A woman baths set in the cave■ At the time of privilege ■① check-in of the outdoor bath (30 minutes) can make a reservation. ② The founded sum modern chartered bath is available free. It becomes the plan to be able to eat shabu-shabu of the domestic Japanese beef other than a course dish by this ③ plan (unlimited time). Please use it near as a base of the Hakone trip from Yumoto Station with a 5-minute walk.■ Please have dinner ■ dinner in a room. The menu changing monthly (may prepare for an exclusive dining hall in the case of a great number of people) prepares the novel Japanese food which the board head thought about.■ You can have breakfast ■ breakfast in a room. 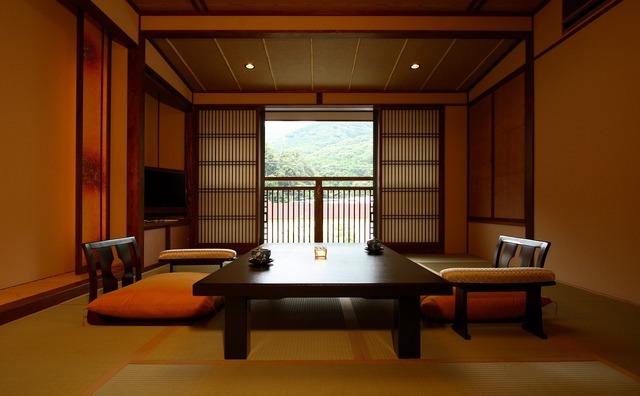 (in the case of a great number of people, I may prepare for an exclusive dining hall■ Room ■ room becomes the Japanese-style room different in flavor. The restroom of the room becomes the Washlet restroom in all rooms (the room I cannot appoint it). Careful … I become the guide to the room type that had you choose him at the time of a reservation. ■ In bath ■ large communal bath, a man and woman large communal bath becomes the permutation at 10:00 p.m. Until check-in - 10:00 p.m., an outdoor bath is added to a large communal bath for women, and, as for the man, an outdoor bath is added to a large communal bath for men until 9:30 on the next morning from 10:00 p.m. including the bath set in the cave. A woman baths set in the cave■ At the time of privilege ■① check-in of the outdoor bath (30 minutes) can make a reservation. ② The founded sum modern chartered bath is available free. Fried タラバ crab (for a foot part) worth (unlimited time) this ③ plan a course dish eating becomes the plan to be able to eat. Please use it near as a base of the Hakone trip from Yumoto Station with a 5-minute walk.■ Please have dinner ■ dinner in a room. The menu changing monthly (may prepare for an exclusive dining hall in the case of a great number of people) prepares the novel Japanese food which the board head thought about.■ You can have breakfast ■ breakfast in a room. 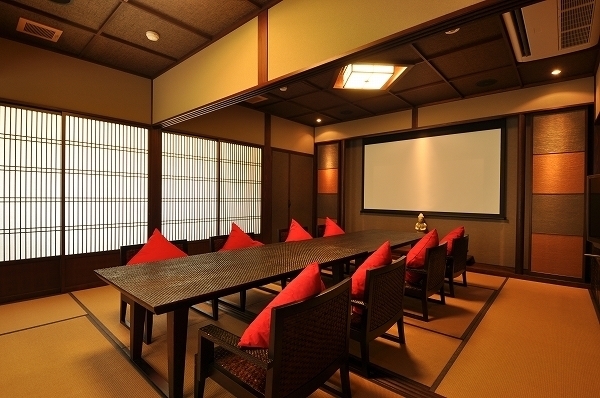 (in the case of a great number of people, I may prepare for an exclusive dining hall)■ Room ■ room becomes the Japanese-style room different in flavor. The restroom of the room becomes the Washlet restroom in all rooms (the room I cannot appoint it). Careful … I become the guide to the room type that had you choose him at the time of a reservation.■ In bath ■ large communal bath, a man and woman large communal bath becomes the permutation at 10:00 p.m. Until check-in - 10:00 p.m., an outdoor bath is added to a large communal bath for women, and, as for the man, an outdoor bath is added to a large communal bath for men until 9:30 on the next morning from 10:00 p.m. including the bath set in the cave. A woman baths set in the cave■ At the time of privilege ■① check-in of the outdoor bath (30 minutes) can make a reservation. ② The founded sum modern chartered bath is available free. I prepare a hall cake (4) after dinner (unlimited time) on the memorial day of the ③ visitor. 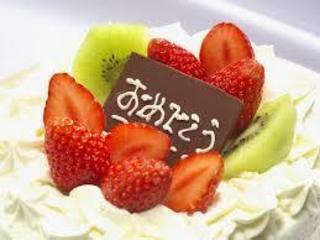 In addition, the fruit of the cake may vary according to a season. Please use it near as a base of the Hakone trip from Yumoto Station with a 5-minute walk.■ Please have dinner ■ dinner in a room. 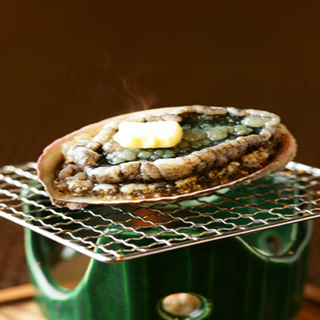 The menu changing monthly (may prepare for an exclusive dining hall in the case of a great number of people) prepares the novel Japanese food which the board head thought about.■ You can have breakfast ■ breakfast in a room. 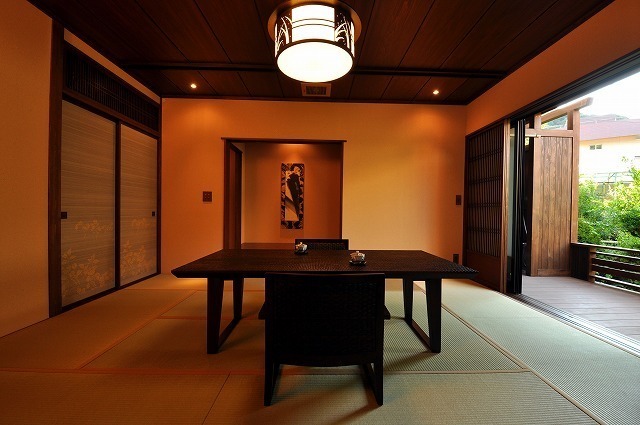 (in the case of a great number of people, I may prepare for an exclusive dining hall)■ Room ■ room becomes the Japanese-style room different in flavor. The restroom of the room becomes the Washlet restroom in all rooms (the room I cannot appoint it). Careful … I become the guide to the room type that had you choose him at the time of a reservation.■ In bath ■ large communal bath, a man and woman large communal bath becomes the permutation at 10:00 p.m. Until check-in - 10:00 p.m., an outdoor bath is added to a large communal bath for women, and, as for the man, an outdoor bath is added to a large communal bath for men until 9:30 on the next morning from 10:00 p.m. including the bath set in the cave. A woman baths set in the cave■ At the time of privilege ■① check-in of the outdoor bath (30 minutes) can make a reservation. ② The founded sum modern chartered bath is available free. I prepare assorted fruit after dinner (unlimited time) on the memorial day of the ③ visitor. The fruit arranges it depending on the situation of the stocking.■ Amenity ■ yukata, a bath towel towel, the toothbrush set is comprised in each guest room. A craftsman of this museum which I studied at a sushi bar, please let letting me grasp ten grips and rolled drapery one in front of the visitor in a guest room by this plan. * Guidance … On account of the stocking, I may not prepare.  I'm sorry, but I do notification on this occasion. 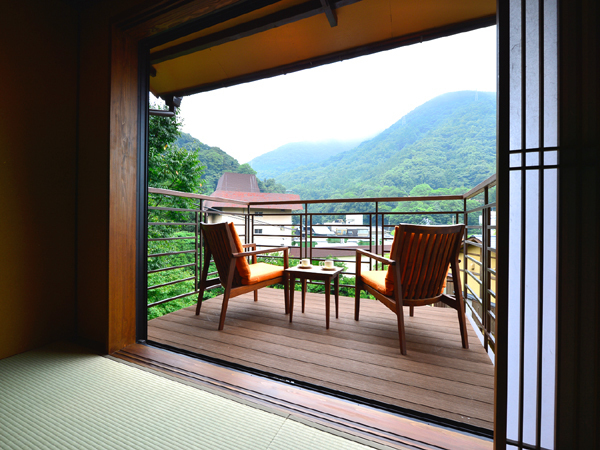 Please use it near as a base of the Hakone trip from Yumoto Station with a 5-minute walk.■ Please have dinner ■ dinner in a room. The menu changing monthly (may prepare for an exclusive dining hall in the case of a great number of people) prepares the novel Japanese food which the board head thought about.■ You can have breakfast ■ breakfast in a room. 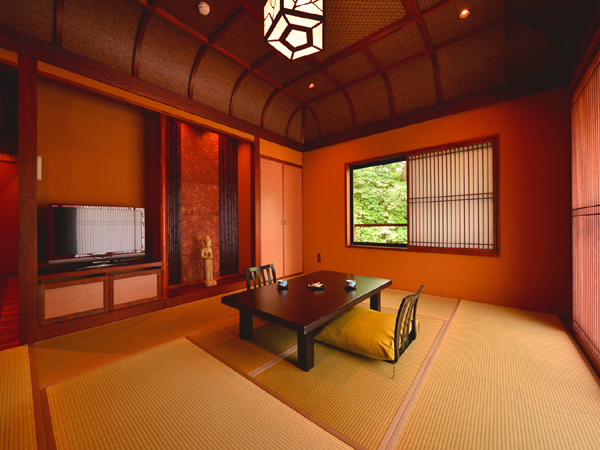 ■ room ■ room becomes the Japanese-style room different in flavor (in the case of a great number of people, I may prepare for an exclusive dining hall). The restroom of the room becomes the Washlet restroom in all rooms (the room I cannot appoint it). Careful … I become the guide to the room type that had you choose him at the time of a reservation.■ In bath ■ large communal bath, a man and woman large communal bath becomes the permutation at 10:00 p.m. Until check-in - 10:00 p.m., an outdoor bath is added to a large communal bath for women, and, as for the man, an outdoor bath is added to a large communal bath for men until 9:30 on the next morning from 10:00 p.m. including the bath set in the cave. A woman baths set in the cave■ At the time of privilege ■① check-in of the outdoor bath (30 minutes) can make a reservation. ② The founded sum modern chartered bath is available free. 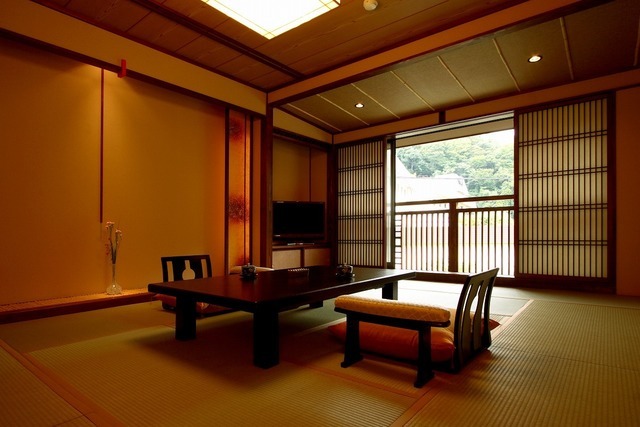 (unlimited time)■ Amenity ■ yukata, a bath towel towel, the toothbrush set is comprised in each guest room.